Who will win this battle of the titans? This weeks duel is between two incredible powers: Zodiark: Keeper of Precepts Vs. Bahamut: King of Summons. Who will win this battle of the overlords of the summoning world, Zodiark, the lord of the Scions with his Final Eclipse, or Bahamut, the Father of the Eidolons, the last standard Aeon, and the final summon in many games before the Scions with his Megaflare? You decide! Bahamut. Zodiark didn't do zip for me once acquiring him except steal my character's MP, but then again, Final Fantasy XII's summon system was pretty bad. A shame, considering the battle with him is a curb stomp battle in his favor. 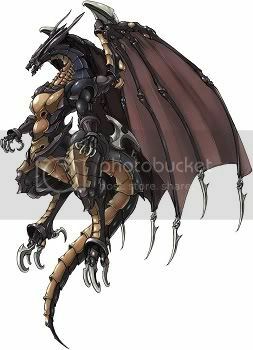 Bahamut. 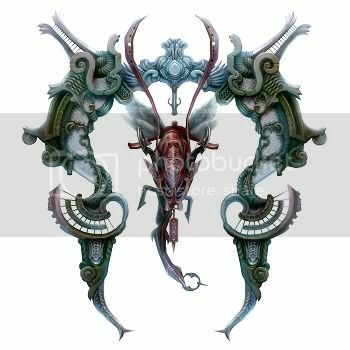 I love the way Zodiark looks, and it's a great boss fight, but like all other Espers in FFXII, useless once you have them.